Scotts Head is a coastal village of the Nambucca Shire local government area in the Mid North Coast region of New South Wales, Australia. 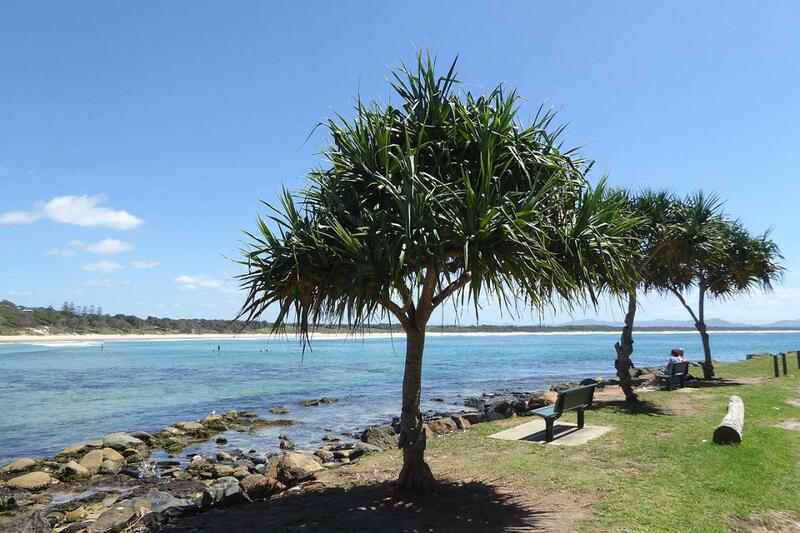 Located on the coast of the Pacific Ocean, approximately 10 kilometres (6.2 mi) from the Pacific Highway and 480 kilometres (300 mi) from Sydney, it stretches southwards from just south of the mouth of the Nambucca River to the town of Scotts Head in the south. Scotts Head is a small village about 18 kilometres south east of Macksville - turn off the Pacific Highway onto Scotts Head Road. It was an absolutely perfect day when we visited Scotts Head on our recent trip along this beautiful part of the NSW coastline. The lookout just past the Surf Life Saving Club allows wonderful view of the beach - the water was so clear we could see a turtle swimming close to shore. This is a great spot for SUP boarding with a gentle swell and great beach. Scotts Head has one of the nicest caravan parks we have seen for a while with a beautiful brand new camp kitchen, wide roads and shaded caravan sites nestled behind the dunes adjacent to the beach. The recreation park is very well equipped with large shade trees, barbeque facilities, shaded picnic tables and amazing mozaic work around the public toilet facilities. A beautiful quiet place where I could see myself spending a very relaxing holiday in the caravan. The community has a Bowling club, bar/restaurant, baker, small grocery store and a range of shops. have you been to Scotts Head? Explore Scotts Head with RvTrips and find out where to stay, what to do and what to see. Helping caravan, motorhome and camper owners have a great holiday.